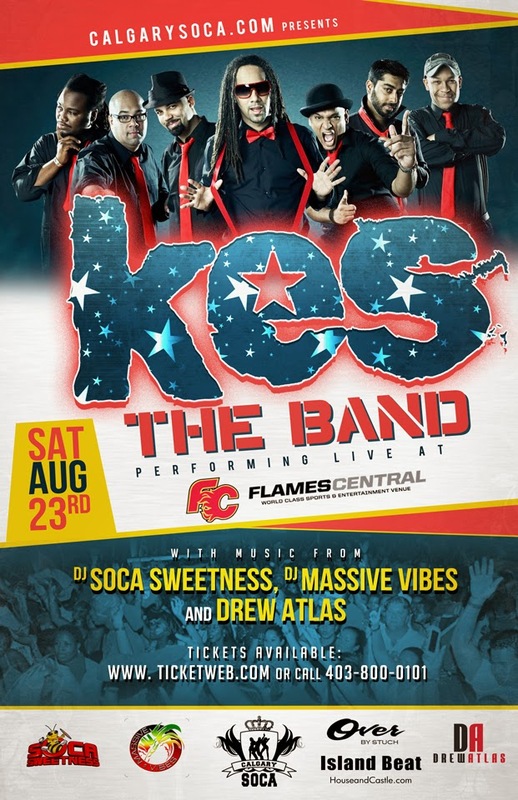 CalgarySoca was proud to present, for the first time in Calgary, KES the Band! The dynamic ensemble from Trinidad and Tobago was here as a part of Carifest 2014 celebrations. Massive hits like ' Wotless', 'Where Yuh From', 'Precision Wine' and more filled Calgary's Flames Central on Saturday August 23rd 2014.